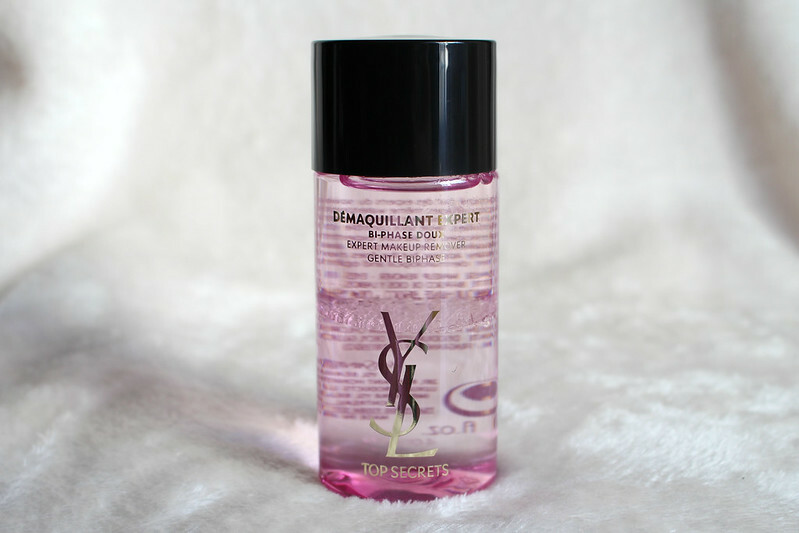 I've mentioned YSL Top Secrets Instant Moisture Glow a few times here before and how much I love it. I was sent it a while ago and now that it's almost completely finished and I so desperately want to repurchase it I thought I'd give it a full review because it's such an amazing product. When I first received it, I wasn't sure if it was a moisturiser or a primer and according to YSL it's actually both. It's described as a moisturiser and blurring radiance enhancer that can be used in three different ways- alone, before foundation or on top of foundation. Used alone as a moisturiser, it intensely hydrates and improves the skin's texture. When used as a primer it blurs imperfections and gives a great canvas for applying makeup, prolonging wear time and glow. It can also be used throughout the day as a top up to instantly plump the skin and make it appear more radiant. The formula contains a hydractive complex for supercharged hydration, a neo-skin powder the helps to smooth and even the skin and a backlight complex that gives a super luminous finish. The gel texture breaks into micro-sized water droplets upon application and leave the skin instantly and durably hydrated. It's all well and good using big words like "hyperactive complex" (I have no idea what it actually means), but the most important question is do I feel like it delivers on what it claims it will do for your skin? I can unequivocally say yes. I find this product an absolute joy to use. I have normal/ combination skin which I know I've said before but I think it's always helpful to note the kind of skin a person has in relation to any skincare review. My t-zone can become oily throughout the day, I have normal sized pores and I can suffer with dehydration and dryness too. One of the biggest things I struggle with when wearing foundation is finding a product that controls the oil in my skin but leaves the other areas of my face hydrated so that my foundation doesn't cling to dry patches. This is where the Instant Moisture Glow really helps my skin. I can apply it only where I need to or all over my face if my skin is a bit more dehydrated. When I'm wearing long lasting foundations like Double Wear Light, I always use this as a primer to give my skin optimum hydration before applying the foundation. I find that it provides such a great base for any foundation and keeps my skin looking hydrated throughout the day which in turn makes the foundation last longer and look so much better. It comes in a handy plastic tube making it hygienic and travel friendly, two things that are huge positives for me. It has a light scent which I quite like, nothing offensive and it doesn't linger on the skin for long. It has a smooth, light gel texture and you can almost feel it turn into water when it comes into contact with your skin. It ranges from €40- €42 depending on where you buy it so it's definitely a high end product, but if like me you need extra hydration, this is a great option. 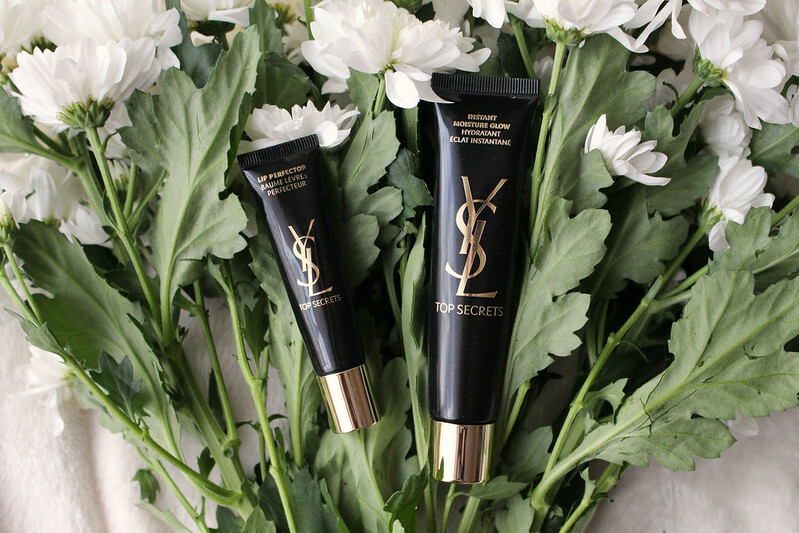 It's available at any YSL counter or online at Boots, Debenhams, Arnotts and Sephora. The Top Secrets Lip Perfector is a similar products but just for the lips. It has the same plastic tube packaging with a plastic angled applicator and a similar light scent. It can be used alone or as a lip primer before applying other lip products. The aim of this product is to condition and comfort the lips while also helping colour payoff and longevity and a smooth application of lipstick and other lip products. I tend to apply this before my foundation so that it has the time to condition my lips while I'm doing the rest of my makeup. You don't need a lot of product to feel like it's working so it's lasted me a long time. I've been using it every day since I was given it at a press event back in September and it's still going strong. At €34, you would really want to love this and that's the problem, I really do, however I don't know if I would repurchase it straight away because I love the MAC Prep and Prime Lip Base and the Urban Decay Ultimate Ozone Multipurpose Primer Pencil which do a similar job but are less expensive. I don't have particularly dry lips so I just make sure to exfoliate my lips and apply a good lip balm every night like the NUXE Rêve de Miel and then use one of the aforementioned products before my lipstick. However if you like a more sheer lip look or have particularly dry lips, the YSL Lip Perfector would be a much better option to condition and prime your lips because it takes longer to dry down and it feels more emollient. It's available at Brown Thomas, Arnotts, Boots and Debenhams. I wanted to quickly mention another product from the Top Secrets range, the Expert Makeup Remover. This is a Bi-Phase makeup remover similar to that of Lancôme, Clarins etc. I love to wear waterproof and long lasting makeup products so I usually have some kind of bi-phase makeup remover on hand along with my Bioderma Micellar Water just in case I need it. I've always used the Garnier one because it was so inexpensive and I used to so through it so quickly I didn't see the point in spending lots of money on one of the more expensive ones on the market. I was so annoyed when I first tried this because I really didn't want to like it as much as I did. It costs €29, which is 6 times more expensive than the Garnier one. However it's definitely the best bi-phase makeup remover I've tried. There was no need to rub my eyes too much like I usually have to with any of the other ones I've used in the past. The makeup comes off so easily, especially waterproof mascara, which would be great for anyone with sensitive eyes. It's such a pleasure to use. The only down side to this is the price. If I was using a waterproof mascara all the time I'd go through a bottle of this so quickly. However if you only used waterproof products once a week or so, you'd be able to ration this out a bit better. As much as I loved it, my budget only allows for the Garnier one at the moment. If I was spending almost €30, I'd much rather repurchase the Instant Moisture Glow because I really feel like it makes such a big difference to how my foundation looks and once it's gone, I most definitely will be repurchasing it. Again, the Expert Makeup Remover is available from Brown Thomas, Debenhams, Arnotts and Boots. Have you tried any of these products? 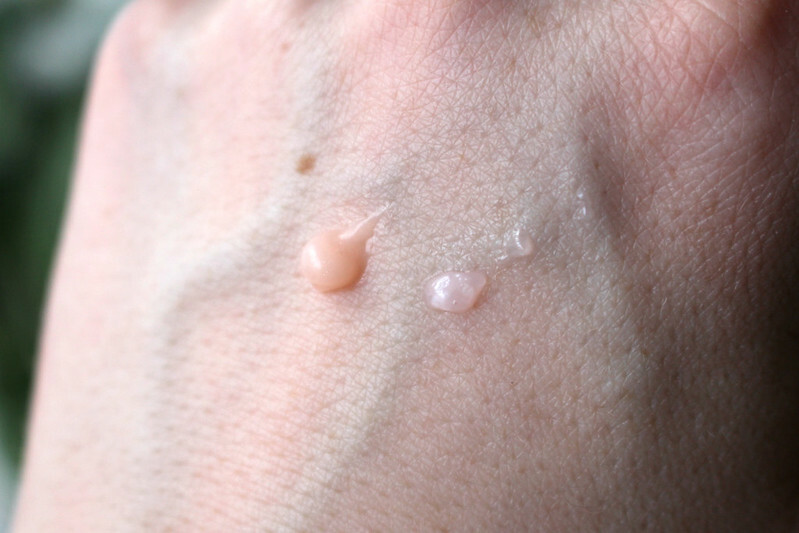 What primers and makeup removers do you use? *This post contains press samples but all thoughts and opinions are completely my own.